My 8 months old cream chow chow nose is turning half pink and I believe eventually it will become more pink than black. Miss Sassy is adorable! I did not know there is a supplement like that. Anyway, i know that there are several reasons the original colour could fade. First and most common reason is the weather - the nose may fade to pink during winter and get back to black during summer. Other reasons are health related. It is important to apply sunscreen for sun protection if it is pink. On health matters think it's important to get to the bottom of this. Let the vet carry out some tests to rule out health issues. It is normal for cream chows noses to turn pink as they grow into adulthood. If you notice even their paw pads and whiskers are pink or light colored. 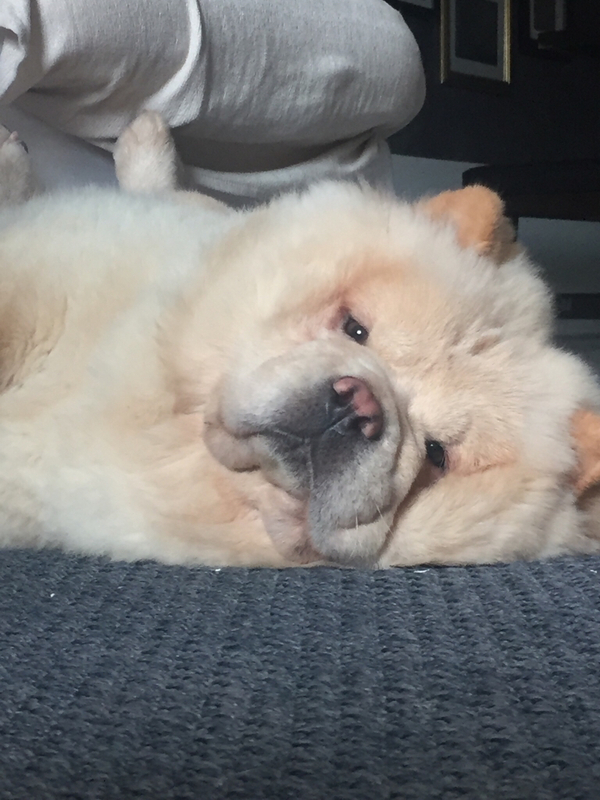 Cream chows lack pigment hence their coloring. It is very rare for a cream chow to retain the dark nose they are born with. Your baby does not have any sickness. As far as I know there is no supplement to darken the nose. In fact, that is why some people in my country choose Cream Chows. They like the pink nose and paw pads and the absence of anything black on them. It makes them look so clean. Constantina is correct. It is not a medical reason. It is simply a lack of pigment in the cream gene. Very few Cream Chows carry the black nose and mouth to adulthood. And those that do are very desirable to breeders. To my knowledge, there are no supplements that can help maintain the pigment. Some unethical breeders may suggest that there is, but most likely they are using something similar to shoe polish.